You deserve a great trade experience. Hi, Chantel & Josh here, we’ve helped hundreds of local families to enhance their homes and businesses with electrical upgrades to save time, increase convenience and add enjoyment. Hi, Chantel & Josh here, we’ve helped hundreds of local families enhance their homes and businesses with electrical upgrades to save time, increase convenience and add enjoyment. Bluegum will be closed for the Christmas and New Year period. We will be back on Monday 7 January 2019. Wishing you a bright holiday season from everyone at the Bluegum Electrical Team. Award-winning Electricians servicing Sunbury, Gisborne, Woodend and Melbourne’s north-west. Keen to get things done and over waiting for trades to turn up? We know you are busy and organising a trade can be a headache at the best of times. There’s nothing worse than waiting at home for a tradie who never shows up, or not knowing if you’ve blown the budget. That’s why we designed Bluegum around you. You’ll save time and worry with fixed priced quotes and experienced recommendations to suit you. You’ll feel in control with your options explained and your house always left spotless. Read more than 200 five star reviews! Josh & Chantel went above and beyond. Explained the whole process to me in a way I could understand without making me feel like an idiot. Fixed the safety switches and then checked every powerpoint and light switch in the house for no extra charge and even fixed the broken bed leg they discovered whilst doing so. Thanks so much! Couldn't recommend more highly. Excellent communication before and during the job, on time and efficient. Thanks! Your electrical work, done right… Guaranteed! (Now THAT’S peace of mind). Choosing an electrician is hard. Often you can’t tell if an electrician is honest, trustworthy or reliable. You don’t know if the electrician is clean and tidy or if they take pride in the quality of their work. Had trouble finding a reliable electrician? Well until today that is. With Bluegum you’ll be asked to approve your quote before we start and know the price is fixed. You’ll know your home will be respected and we’ll always clean up after ourselves. You’ll also receive a certificate of electrical safety with every job. If you have an electrical problem, we have the solution! Call us today to get a reliable electrician to Gisborne, Sunbury, Woodend, Taylors lakes and beyond. An ‘end to end’ service, Bluegum Electrical Solutions can recommend and provide you with an array of quality air conditioning units that suit your budget and installation needs – all with a five year guarantee. Wanting to add a little extra convenience or luxury to your home? Bluegum can help you maximize your efforts and make your home work for you, while adding value to your property. 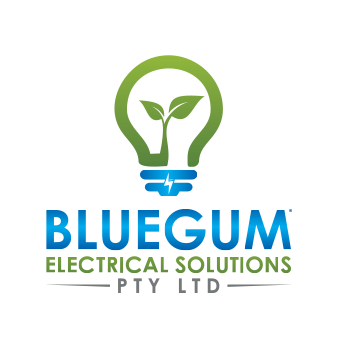 Bluegum Electrical Solutions specialise in rectifying electrical concerns – no matter how simple or complex. We’ll go through each task in detail and answer your questions, empowering you to make an educated decision concerning your electrical works. Working in collaboration with architects and builders to support their client’s new builds or renovations, Bluegum Electrical Solutions provide an upfront, complete costing for electrical services and installations. January 17, 2019 Solar rebates – How do they work? Installing solar panels has never been more affordable with the Victorian Government recently announcing the ‘Solar Panel Rebate’ now available for 24,000 eligible homeowners. Electrical work on older property comes with its challenges and rewards. In this video I visit our boys working on blue stone cottages and find out what they do to keep the charm alive.